In a still from the Spanish-language network Univision’s recent report, children pick chili peppers in the Mexican state of Guanajuato. The title reads “Modern Slavery”. That claim — of rampant, unchecked exploitation and abuse in Mexico’s produce fields — was based, in part, on the personal experience of farmworkers in Immokalee, a majority of whom are from Mexico and Guatemala and many of whom worked harvesting tomatoes, peppers, and other fruits and vegetables in Mexico’s agricultural industry before coming to Florida. It was also based on the excellent, in-depth reporting from the Los Angeles Times on the Mexican produce industry — in particular a hard-hitting investigative series titled “Product of Mexico: Hardship in Mexico’s fields, a bounty for US tables” — that was published just months before the boycott announcement. But since that time, there has been scant reporting from Mexico on labor conditions in agriculture there. This silence is due to many factors, but chief among them is fear — the workers’ fear of what might happen if they were to complain (one report that did manage to make it out of the fields was the news that 80 farmworkers went missing earlier this year after lodging a complaint against their boss in Chihuahua), and the fear of journalists for their own safety if they were to dig too deeply into abuses on farms where organized crime often rules the fields. Indeed, one of the great attractions for unethical companies doing business with the Mexican produce industry is the near total lack of transparency. To paraphrase the old marketing tag line about Las Vegas, what happens in Mexico’s fields stays in Mexico’s fields. There are, it would seem, two principal ways to manage the reputational harm that the revelation of human rights abuses in a company’s supply chain might cause for a retailer like Wendy’s, one ethical, the other not. One would be to join the Fair Food Program, where the vast majority of human rights abuses are prevented by the Program’s award-winning mix of worker education, a 24-hour complaint line, independent, in-depth audits, and market consequences for labor rights violations. Eliminate the human rights violations, and eliminate the risk of public relations crises. The other would be to buy your produce from a source where abuse may continue unchecked, but the news of the abuse itself rarely, if ever, sees the light of day. 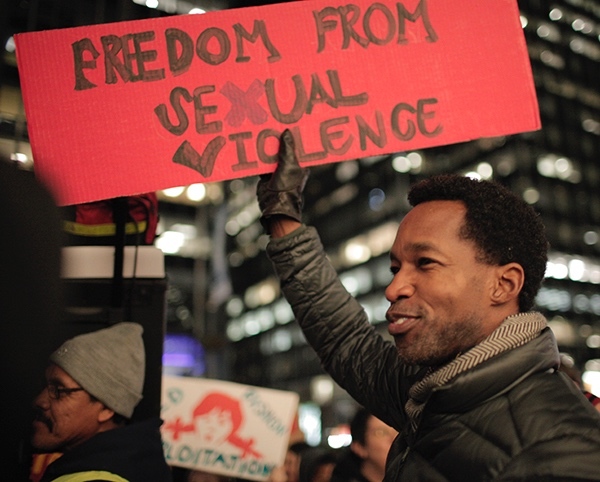 Sexual violence against women, child labor, and modern-day slavery still happen, but are effectively without consequence, because the public outcries those abuses would normally provoke never materialize. Workers are afraid to report abusive conditions in the fields, reporters are afraid to undertake independent investigations, and silence rules the day. Farmworkers pictured in company housing in Mexico. Photo from the LA Times. Between those two starkly different paths, we know which route Wendy’s chose. After its longtime suppliers here in Florida joined with the CIW and 14 other major retailers (including all of Wendy’s key competitors in the fast-food industry) in the groundbreaking social responsibility partnership that is the Fair Food Program, Wendy’s pulled up stakes here and shifted its purchases to Mexico. And for some time now, the implicit wager behind that decision — that the unconscionable labor conditions there would remain under the media radar — has largely paid off. … Activists who have heard the testimony of farmworkers who live in a state of terror. … Jesica Zermeño: In addition, there is organized crime. In the last decade, more than 200 farmworkers have disappeared from this country without a trace. These findings are indeed shocking, but they are also painfully predictable. Poverty, exploitation, human rights abuses, and violence have haunted Mexico’s fields for decades. These conditions existed a generation ago, they existed in 2014 when Richard Marosi of the Los Angeles Times traveled there to file his exhaustive report, they exist today, and they will exist years from now, too, unless something is finally done to radically transform Mexico’s produce industry. The only way that conditions will improve for Mexico’s farmworkers is if the buyers of Mexican produce stop rewarding abusive Mexican growers with their business and start demanding more modern, more humane conditions from their Mexican produce suppliers. Period. Before the Fair Food Program, many of the same conditions that exist in Mexico’s produce industry today — rampant sexual violence against women, forced labor, extreme violence, and poverty — existed in Florida’s tomato industry. And as in Mexico, the Florida industry resisted change tooth and nail. The Edward R. Murrow documentary “Harvest of Shame” shocked the nation on the day after Thanksgiving in 1960; Congress periodically held hearings into exploitation in Florida’s fields; and case after case of modern-day slavery hit the headlines in the 1990s and early 2000s, but the industry would not budge. An editorial cartoon from the Naples Daily News, 1999. How was such stubborn resistance possible? Because business — i.e., the buyers themselves — never demanded reform, so business as usual was a perfectly reasonable response to all the exposés, lawsuits, and slavery prosecutions that advocates could muster. Workers and consumers pressured buyers to take responsibility for labor abuses in their tomato supply chains. Buyers agreed to only purchase Florida tomatoes from growers who are in compliance with a human rights-based code of conduct. After much resistance, first one (Pacific Tomato Growers) then another major Florida grower (Lipman) embraced the code of conduct, providing an opportunity for buyers to shift their purchases to those growers, thereby rewarding compliance and penalizing recalcitrance. Within a month, virtually the entire Florida tomato industry agreed to comply with the code of conduct, because the remaining growers could not stand by and watch the purchases of some of the largest buyers of Florida tomatoes come off their books and shift to the two growers who joined first. Today, forced labor and sexual violence against women have been eliminated in Florida’s tomato fields, and lesser violations are quickly becoming a thing of the past. Only when buyers finally agreed to stop looking the other way and condition their purchases on compliance with fundamental human rights — and only then when two major growers finally agreed to step up to those human rights standards — did the economic incentives line up in such a way that fair labor conditions, not violence and abuse, were rewarded here in Florida, and a more modern supply chain was able to flourish. Mexican growers are no different from Florida growers when it comes to being rational economic actors. They too will respond accordingly when the economic incentives are aligned correctly — toward rewarding common humanity and punishing violence — just as they would if the issue at hand were food-borne illness rather than human rights. If Mexican tomato farms were exporting the e-coli bacterium, instead of poverty and abuse, on every tomato they sent to the United States, you can be sure that the major buyers here would shift their purchases to alternative sources, and Mexican growers would shift their resources toward cleaning up their operations ASAP. The Mexican produce industry would not fiercely fight food safety standards and insist on business as usual while business fled the country. They would fix the problem in order to keep their most important customers’ purchases. And the good news for Mexican farmworkers? The Fair Food Program already exists! It provides a socially responsible and sustainable alternative to the abusive Mexican system. Just as happened in Florida when two major growers provided an option for buyers motivated by the Campaign for Fair Food to shift their purchases to companies compliant with basic human rights standards, transformation in Mexico will take place only when buyers begin to shift to the human rights-compliant Fair Food Program. That shift — or even just the credible threat of it — will almost instantly compel Mexico’s industry to abandon its recalcitrance and join the 21st century. Given the continuing violence and exploitation in Mexico’s fields, and the unprecedented success of the Fair Food Program in preventing those same problems in Florida, to abandon Florida growers because they joined the FFP and do business in Mexico instead is the very definition of unethical supply chain management. And that is exactly what Wendy’s has done. But just as it did here in Florida, change in Mexico must begin with consumer pressure on brands like Wendy’s that insist on turning a blind eye to the sexual violence, forced labor, and other abuses there. Once that process begins, it cannot be stopped, because, ultimately, even the most stubborn of CEOs must bend to the will of the market. It is only a question of when, not if. 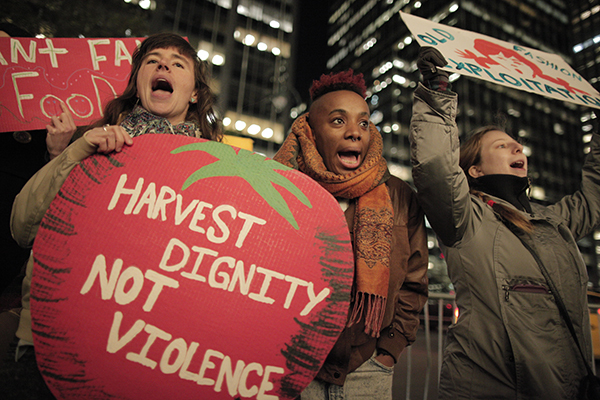 NEW VIDEO: On International Human Rights Day, support the Fair Food movement! Supermarket Guru: “Fair Food Agreements Might Just Be the Next Big Thing”!